Specially developed for the application of low viscosity, water-soluble or solvent-based fluids. The optimised nozzle ensures a high quality result. Lacquers and other thin liquids can be applied precisely to small objects through the very fine sprayer jet. Highly suitable for detailed and creative work. 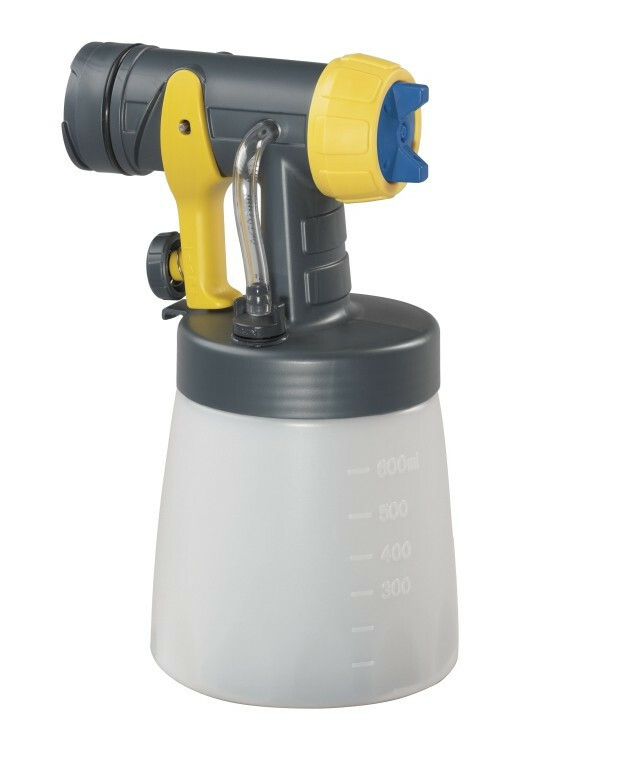 Suitable for Wagner paint sprayers: W 550, W 665, W 670, W 687, W 867, all Universal Sprayers, Wood & Metal Sprayers and Wall Sprayers.